Spain is considered as the second largest country in Western Europe and the most mountainous one after Switzerland. The most suitable time to travel to Spain is spring as during that time the weather is most suitable. During the months of July and August the resorts are most crowded. Mainly people come to visit Spain for sun, sand, and self-indulgence. Moreover, people visit Spain for beaches and nights in the club. Apart from beaches, there are many extraordinary variety of things to be done, such as climbing snow-capped peaks and diving into the protected Medes Islands. You can visit various cities in Spain such as Madrid, Barcelona, Bilbao, Seville, Valencia, and many more. Each of these cities has their own distinct flavor. Despite of these diversities, these cities are bound with remarkable history and cultural trends. 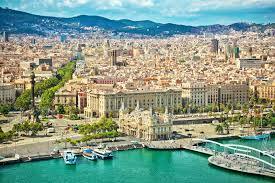 You can also travel to Spain to see museums, galleries, and many more sightseeing. The climate of Spain is warmer than France or Italy in the winter; however, is colder than winters of Delhi. While travelling to any place, you should check the weather forecast to know whether it would be suitable to travel during that time or not. Generally, the meal available at a small café will be available at an average of 4-6 Euros per person. However, eating in a good restaurant would cost you from 20-25 Euros per person. The accommodation charges would depend on the kind of the restaurant that you have selected and it would cost 45-55 Euros for a night for a double room. You should approach a tourism country to better plan your travel to Spain.